Farmers Insurance has announced it will set aside $2 million annually to help support disaster preparedness, response, and recovery programs. Through the yearly commitment, Farmers Insurance is providing $1 million each to Team Rubicon and SBP, who have collaborated with the insurer in the past to provide disaster response and relief services. "The last several years have been difficult for communities across the country, especially here in our home state of California," said Farmers Insurance CEO Jeff Dailey. "Helping communities recover after a disaster is at the core of our business and community efforts, and we wouldn't be able to help communities recover as fast without the great collaboration with organizations like SBP and Team Rubicon." "After disaster, American citizens are at risk of being pushed beyond their breaking point if they don’t have a clear path forward and are forced to stare into the abyss of uncertainty," added SBP co-founder and CEO Zack Rosenberg. "While SBP is proud of our rebuilding work, which is strengthened by year-round volunteers from Farmers Insurance each year, Farmers’ generous investment will allow SBP to help thousands of families prepare for disaster, and navigate a clear path to recovery after." Farmers first collaborated with SBP in 2012 in helping the community of Joplin, MO recover from a tornado event the year before. Since then, the two have worked together in a number of community resilience and recovery projects in Monmouth County, NJ; San Marcos, TX; Baton Rouge, LA; and, most recently following Hurricane Harvey, Houston, TX. "We are humbled by Farmers generous contribution and on-going support of Team Rubicon," commented Team Rubicon co-founder and CEO Jake Wood. 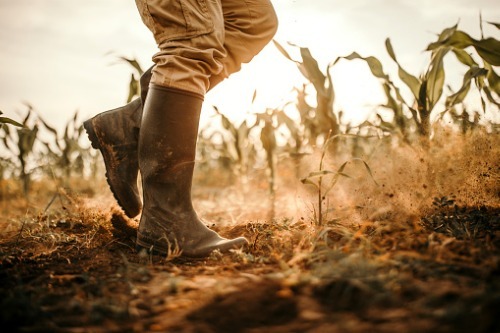 "We're excited to continue working alongside Farmers and our friends at SBP as we relentlessly pursue our mission of helping communities impacted by disasters stabilize, recover, and rebuild." Farmers initially enlisted the aid of Team Rubicon in 2015 – the latter providing military veterans to help the insurance company’s employees in a number of home repair and debris management activities following catastrophes. With the $2 million yearly pledge, Farmers and Team Rubicon’s partnership will continue.